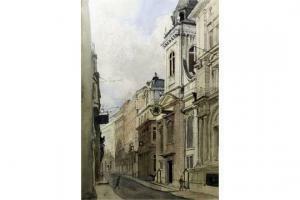 Find artworks, auction results, sale prices and pictures of Denys George Wells at auctions worldwide. 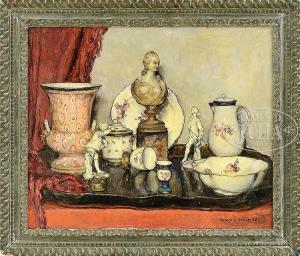 Description: Denys George Wells (British, 1881-1973) The Errand Signed "Denys G. Wells" l.l., identified and titled on a label from Christopher Wood, London, and on a handwritten label affixed to the reverse Oil on board, 13 5/8 x 9 1/2 in. (34.5 x 24.0 cm), framed. Condition: Retouch, primarily to edges. Provenance: The collection of Frederic and Jean Sharf. Provenance: The collection of Frederic and Jean Sharf. 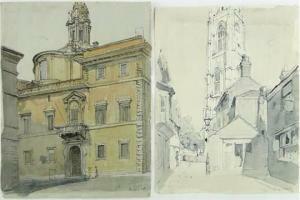 Lot 1177: DENYS GEORGE WELLS (English, 1881-1973) THREE STILL LIFES. 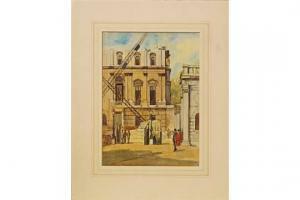 Denys Wells (1881-1973) 4 watercolours, street scenes and rural scenes, all signed, largest 16" x 12", unframed, (4). 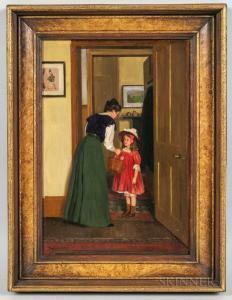 * The description of the above lot by the auctioneer in the language of the auction is the governing description. Any translation using Google translate is a guide only - its accuracy cannot be guaranteed and it is used at your own risk.